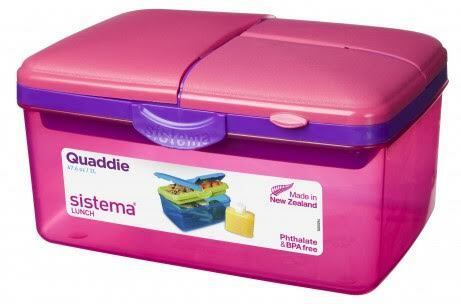 Navigating the school lunchbox: Ella’s first week. My friend Helen and I were chatting about her daughter’s first week at school, an event I knew had been causing some apprehension. Over the last few years Helen has been changing the food supply in the family, and while it was much easier for her than she anticipated, getting the kids on board has been a very gradual process. When the children are at home for meals, it’s much easier to eat a minimally processed diet and parents have a much better idea about what their children are eating. Possibly more of an issue though is that at home kids aren’t surrounded by other children and their brightly coloured, sparkly packaged food which might make their homemade lunches both different and a little mundane. I know a lot of parents have this concern – starting school is both exciting and scary for parents and children alike; the last thing either want is to increase this by appearing different from the masses. I asked Helen to write about how that first week went as I was sure she could offer tips to help other parents navigate the lunchbox. I have been dreading this week. My little girl has started school and neither of us was entirely ready for it. On top of that, the thought of preparing enjoyable and nutritious lunches every day has been freaking me out! How would I cope? Would every day be a battle? Would I have to accept defeat and make sandwiches? One week down and I realise lunches were the least of my worries! It’s been an emotional roller coaster but one thing that has actually gone OK is the lunch box so I thought I’d share my experience. The first thing to consider was the lunch box. We let her choose her own and the Sistema ‘Quaddie’ is working well. The fact that other children in the class have it is a big plus too. Lunch was prepared the night before and this has now become the routine. We had slow cooked lamb and veggies for Sunday dinner and thankfully she enjoyed it so much she asked if she could have it in her lunchbox the next day. I couldn’t believe my luck! So on her first day of school, off she went with lamb, kumara mash, roast beetroot and feta. The previous week I’d been complaining how she would never have dinner-type meals for lunch and there she was asking for it. Selecting non-chewy pieces of meat was the key (slow cooking helped massively here) and using smaller plastic containers within the bigger box to stop things getting messy. Lunch isn’t until 1pm so the children take a small brain snack as well as morning tea. The brain snack we were told should be a piece of fruit – a bit of a problem when your daughter doesn’t like fruit. We don’t have an issue with that, given her love of a variety of vegetables. She said she would have a small piece of banana but this was the one thing that came home uneaten on Day 1. Nuts, yoghurt with ‘special sprinkle’ (based on this Sarah Wilson granola), cheese, a few rice crackers and a homemade dark chop chip muffin based on this I Quit Sugar recipe were all eaten and (I think) enjoyed. Ella told me there was too much food but nerves were probably affecting her appetite. Lunch was chicken goujons – made the previous week with a Pete Evans crumb recipe (such as this one) and then frozen – more veggies (buttered), a hard-boiled egg, cheese, nuts, yoghurt. Same result as Day 1 – all eaten, partly due to the teachers encouraging the children to eat everything in their box. This actually upset Ella a bit – she eats when she’s hungry and doesn’t want or need to be forced to eat. I deliberately put in more than I thought she would need so that a) she would have choice and b) there would definitely be enough. I said I’d have a word with the teacher if it became an issue but thankfully it doesn’t seem to have. Lunch was going to be meatloaf but due to a mini meltdown about being scared of school and not liking meatloaf, it was removed and alternatives were offered. I’ll try not to let this happen too often but I was desperate for her to be happy during what was becoming an upsetting week. When she turned down one of her favourites – a tuna mayo sandwich on seed bread – I realised this was more about not wanting anything at all than about not wanting meatloaf. I think if I’d offered her ice cream that day she would have said no! We took her brother to daycare, came home, had a game of Monopoly and tried again! I let her look in the freezer and choose anything she liked….she chose a piece of salmon, leftover from one of our dinners the previous week. We usually buy a bigger piece of salmon than we need and pop the leftovers in the freezer in bite sized chunks so they can be defrosted for lunches. The night before I’d made some seed crackers so these went in too, along with some cheese and other bits and pieces and the verdict that night…..I want exactly the same tomorrow! I won’t be doing this every week but it was so good to see her happy, off I went to the supermarket to buy some salmon! And we did it in reverse…I cut off a couple of inches for her, cooked it for 2 minutes in the microwave and we had the rest the next day. This was the same as Day 3, with the addition of some buttered green beans. Meanwhile her little brother Tom had the uneaten meatloaf from the previous day (another Pete Evan’s creation) and loved it! I told Ella this and to my surprise she said she would like it in her box the next day. So Day 5 was sorted. Fortunately she is happy with eating food at room temperature due to us not having facilities to heat her baby food when she was younger and we were travelling. More green beans, carrot and dip, some almonds and peanuts, yoghurt and ‘no grainola’, and seed crackers and cheese finished off the box. Oh and a small beetroot that she pulled from the ground herself earlier that day. So we have a system and so far so good. She’s even eating a little bit of fruit each day – a one inch slice of banana with skin removed and no trace of any stringy bits! The food is fresh and real but I’m not slaving over it every morning or night. I realise now it’s just filling a box with whatever’s on hand, having shopped for the basics at the start of the week. I’m no longer stressing over creating real food versions of typical lunch box items, or worrying that she needs a completely different box every day. When the box has the variety of nutrients in it that hers does, and she likes it, much of it can stay the same each day. I’ll make a batch of ‘no grainola’ and seed crackers every Sunday and hopefully a different homemade dip each week (I’ll use rice cruskits sometimes if I run out of seed crackers or for a change). And perhaps once a month a loaf of grain free bread to sandwich some tuna mayo in one day. I’ll make and freeze meatballs, goujons, muffins and mini egg frittatas that can be pulled out and defrosted overnight. When we BBQ I’ll put on extra meat and in the morning when I make myself an omelette to take to work, I might make it bigger and put a slice in her box. I’ll hard boil a pan of eggs and when I cook veggies I’ll always do extra. When the weather heats up I’ll freeze yoghurt or a smoothie before it goes in the box. I see now that I’d built the whole lunchbox thing in to a bigger deal than it is and I’ve gone from being daunted by the prospect to quite excited by what good food I can pack her off with each day. Our kids have had a couple of years of living a balanced real food lifestyle – by which I mean that most meals and snacks are unprocessed and nutrient dense, but ice cream, pizza and cake are enjoyed occasionally. They are the much enjoyed treats that they were when we were kids. She knows these aren’t everyday foods and really enjoys a wide variety of vegetables (especially when tossed in butter) and other whole foods. It’s just the norm for her and I hope it can stay that way. She’s active, with a healthy metabolism so it’s not about her lunch box being low carb, it’s about it being as nutrient dense as possible. It’s about it containing foods that will give her energy and help her body and brain develop. I love that she will grow up thinking a real food lifestyle is the norm, where you make things rather than buy things and even grow them yourself where possible. I hope this becomes the norm for more kids her age. My husband and I are in total agreement about what we are doing and although I am doing most of the preparation, it is a shared responsibility that he will happily take on when needed. We start the day with an awesome breakfast and finish it with a wholesome dinner, so even if the box I make doesn’t get touched, or it isn’t perfect every day, it won’t be the end of the world. I know she loves good food and will eat if she’s hungry. Where possible I’ll get her involved in making and choosing things but at the end of the day, she’ll get what she’s given, just like I did and I turned out alright! It will not be a hassle but it will get as much thought as our meals do…it should shouldn’t it? Post-script: Ella now enjoys sushi every Friday, just a few pieces. She loves it and it makes for an easy lunch day for us.